A life well lived and a medical legacy that continues to touch the lives of children and families were celebrated during the memorial service for Dr. Blair E. Batson. Batson, the Medical Center’s first chair of pediatrics, died Nov. 26, 2018, at 98. Pondering the thoughts of some of UMMC’s founding physicians, Dr. LouAnn Woodward, vice chancellor for health affairs and dean of the School of Medicine, told the large group of Batson’s family, friends and colleagues that she thinks they would be proud of the Medical Center’s advancements. Beside the state’s only children’s hospital, named in his honor at its opening in 1997, is the construction site for a seven-story pediatric expansion that is expected to open in fall 2020. That progress, said Woodward, follows Batson’s vision of care. Dr. Mary Taylor, Suzan B. Thames Chair, professor and chair of the Department of Pediatrics, said she is honored to walk in Batson’s footsteps. The son of Claud L. and Mary Bryan Batson, he was born Oct. 24, 1920. Batson grew up in Pearl River County in the sawmill town of Orvisburg, where his grandfather, Ran Batson, owned the mill and his grandmother, Mary Bates Bryan, was principal of the three-room, eight-grade school. For three years of his childhood, at the start of the Great Depression, Batson and his family lived in West Point, where the local librarian, Lucy Heard, cultivated his lifelong love of books and learning. During World War II, Batson served in the U.S. Army Medical Corps from 1946-48 in Giessen, Germany, as ward officer for contagious diseases and pediatrics for the 388th Station Hospital. He earned his B.A. and M.D. at Vanderbilt University, where he completed a residency in pediatrics. While an undergraduate, he was president of the student council and of his fraternity, Sigma Chi. 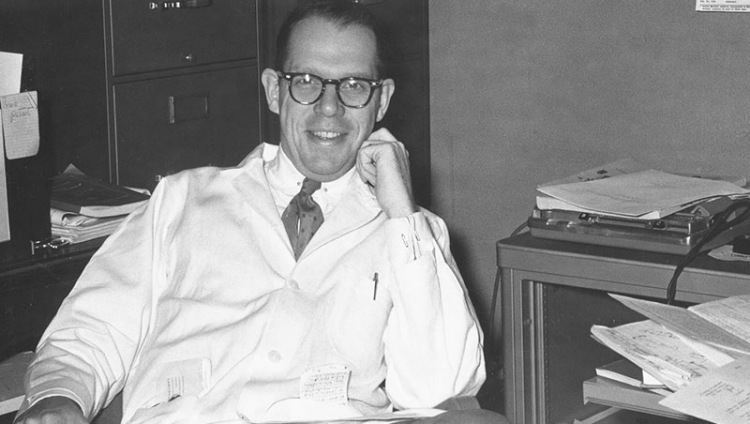 He served as chief resident at Vanderbilt from 1949-50 and had a faculty appointment there from 1949-1952. Batson completed a one-year residency at Johns Hopkins, where he earned a Master of Public Health degree. He was on the faculty of the Johns Hopkins School of Public Health and the Johns Hopkins School of Medicine from 1952 until he arrived at UMMC. At 34, he was named chair of the UMMC Department of Pediatrics just two months after the Medical Center opened its doors to patients in 1955. He officially retired in 1989, although he still taught for years afterward. Describing his uncle as a man “who was liked as well as admired,” Johnny Batson told of his calm confidence and how he stepped into the role as a family patriarch. Diagnosed with cystic fibrosis after birth, John Clark Packer spent the first eight months of life in the state’s first children’s hospital, which Batson was instrumental in opening in 1968. Years later, Packer, a Children’s Miracle Network Hospitals coordinator at UMMC, was a friend to his doctor in retirement, taking him to Mississippi Braves baseball games and Hal’s St. Paddy’s Parade. 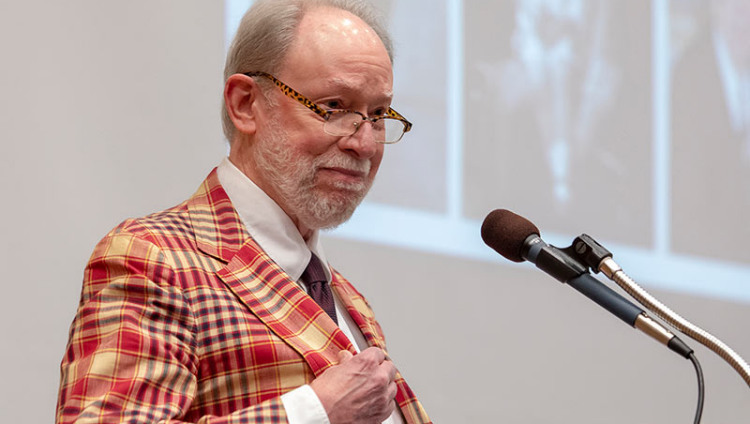 An academic pediatrician who saw the education of the next generation of physicians as part of his life’s mission, Batson taught “not only by information but also by example,” said Dr. Joe Donaldson, UMMC professor emeritus of pediatrics and fellow faculty member. During Batson’s long career, he taught more than 3,500 medical students and 240 pediatric residents. “His most enduring legacy is in teaching thousands of medical students and residents,” said Dr. Owen B. Evans, who became chair of pediatrics at UMMC following Batson’s retirement (and has himself since retired). Among his students was the late Dr. Aaron Shirley, who, under Batson’s leadership, in 1965 became the first African-American learner in any program at UMMC. In lieu of flowers, Batson’s family requests memorial contributions be made to Batson Children’s Hospital, in care of the UMMC Office of Development, 2500 N. State St., Jackson, MS 39216, or Friends of Children’s Hospital, 3900 Lakeland Dr., Suite 205, Flowood, MS 39232.